Marvel's Spider-Man is out, and it's currently enjoying a constant barrage of praise from all angles. Insomniac Games has produced the fastest selling game of the year - at least in the UK - and that news must be going down extremely well in the offices of Sony and Marvel. Of course, Insomniac put in a lot of the leg work to produce the title, but it's important to remember that the game was only possible as a result of the three companies working together. Bryan Intihar, creative director on the game and the man who features in a billion interviews, made this very clear in a video interview with Kinda Funny Games. Early into the spoiler-filled conversation, Intihar made a point of saying that if PlayStation wasn't involved, the game might not have been made at all. "This game would not exist if it wasn't for PlayStation, if not for their support," Intihar stated. "Any time I wanted to do something, and I wanted to make some drastic change, it was just like, 'Okay'. I never heard about anything. It was just like, 'Go do it.' The question was, 'Is it gonna make the game better?' and I'd say, 'Yep', and they'd go, 'Okay', and that would be the last time I'd hear about it." This isn't the first time we've heard about Sony being an extremely supportive partner when producing a game, and it sounds like the platform holder gave Insomniac full control over the creative aspects of production. 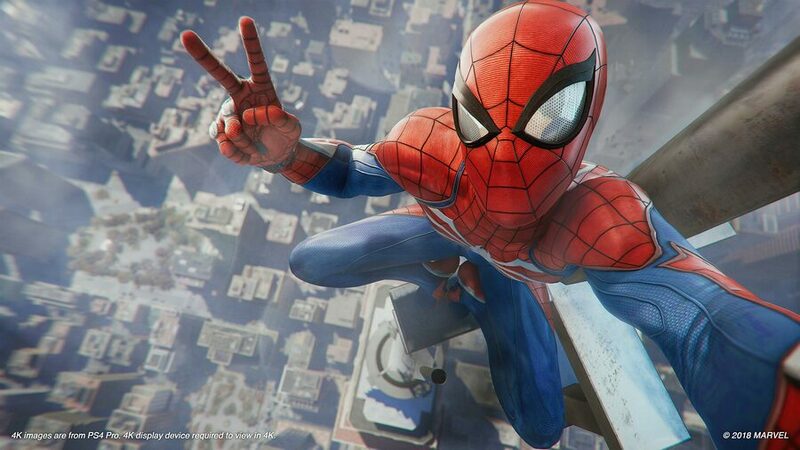 Intihar felt that people weren't necessarily giving Sony due credit for its role in making Marvel's Spider-Man become a reality: "So many people want to talk about Marvel and Insomniac - which is awesome... But I owe everything to PlayStation". 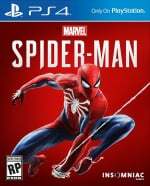 We're glad that the collaboration worked out, as it's resulted in a great game that finally restores Spidey's gaming reputation, not to mention it's another hit PS4 exclusive in a string of excellent titles. I'd like to think this will finally stop the fanboys complaining that this is an exclusive, but I know better than that. I wonder how long Insomniac will stay independent? So let me get this straight, is he a man or a spider? Talk like this make hello games even bigger mugs. Considering people were blaming Sony for their plight. @kyleforrester87 Huh? I thought he was a bat? @kyleforrester87 dude, he's clearly a spider, man. @3Above im torn on this. I would love insomniac to come in house to avoid a ninja theory situation occuring. But then insomniacs independence is also very much at the heart of what they do and i think ted price dearly values that. @rockertherockgod Bizarrely it could happen because Insomniac owns the IP, but I personally think they've probably moved on from that series now. I'd be surprised if they revisited it. Common story among console exclusive titles developed by third-party developers. I should also add, Disney/LucasFilms have been upset with EA in regards to the Star Wars games. They were apparently shopping around for a new publisher earlier this year, they have to be looking at Spider-Man's sales and considering Sony if they're smart. @DLB3 If that were to happen Sony would be wise to tell Lucasfilm to jog on. Star Wars is a poisoned well and all the indicators are that its time at the peak of the pop cultural mountain is well and truly over. Georgey Boy knew what he was doing when he sold the farm to Disney. I think sony is the best partner to make games with compared to others publisher, sony know when to get out of the way and let developers do their things. @LaNooch1978 I know there's some division over the movies, but a new AAA single player game with an original story set in the Star Wars universe that is matched with the right developer would sell like hotcakes. Your right and they probably are genuine. However this game got a lot of 'exclusive is bad' talk going on and people crying bc it's not multiplat. That statement here just says it as it is even though I doubt those complainers could see the truth. @DLB3 That, and I think above all else is the world wide global reach of the PlayStation branding. Square, X, Triangle and Circle are now so iconic, and the marketing of their first party exclusive games have all been nothing short of amazing. Marvel would be wise to team up again with Sony. @DLB3 There's a lot of evidence that Star Wars as a brand is not only hugely tarnished after "The Last Jedi" fiasco but irrevocably marginalised in popular culture by the infinitely more diverse,interesting and crucially synergistic MCU which is obviously another Disney property and one not burdened by an increasingly toxic fandom who are notoriously impossible to satisfy. Disney would know the numbers since they own Marvel as well. Hard to imagine them letting anything in the Star Wars franchise be platform exclusive, but if Spider-Man outsells Battlefront 2, anything is possible. I doubt it. A lot of people only hear and see what they want. Even the downgrade talk is still going on in spite of every serious source saying there's no downgrade. One of the reasons why I hesitate little about buying a Sony published game Day 1. That’s also the reason why I remain skeptical of Sekiro. I have no faith in Activision. In recent years it's Spider-Man game that got a lot of this silly outrage going on. @lacerz Yeah they were reportedly looking at Ubisoft and Activision, so they definitely want to reach as many platforms as possible. But then again, I never would've thought a major licensed property like Spider-Man would be exclusive, the PS4's install base doesn't hurt either. @LaNooch78 The brand is still a major juggernaut with enough appeal outside of the Star Wars faithful. If Episode IX turns out to be a disaster at the box office, then I'd agree with you more. The MCU may be eclipsing Star Wars in film, but I have no doubt people would latch onto a good Star Wars game. It's not that people are tired of the brand, they are just upset with the quality, which has stretched across different mediums. @JJ2 True. Spider-Man now, Bayonetta 3 later on. Lord knows what is next. This is why I don’t stick with just one console. I am blessed that I don’t have to miss out. Even if I didn’t, I wouldn’t blast a developer for going where they are supported. Better to see the light of day, than not at all! @LaNooch1978 My comment wouldn't tag you for some reason, but it's up there. @DLB3 I agree with you that the the reception to Episode IX will be the acid test and your comment about quality is exactly correct. There has not been a universally acclaimed bit of Star Wars related media of any kind in years,if not decades(and indeed much of it is outright loathed)which means that the niche customer base,which was once fuelled largely by nostalgia is shrinking ever more rapidly. Contrast this with the broad appeal and consistently high(ish) quality of Marvel related content and the resultant high financial yields and I think it's clear where Disney might be more interested in focusing their money and attention in the future. @LaNooch1978 Then we're somewhat agreed, we'll see what happens in December 2019...which is actually not that far away. Sony + Insomniac + Marvel, that’s a Dream Team. @DLB3 I know,it's actually scary how quickly time seems to be skipping by. I'm not suggesting that Star Wars is a spent force(no pun intended) just that it's time as the premium pop culture product is over. The kids aren't playing with Poe and Rey toys because they are playing with Iron Man and Black Widow toys instead and perhaps most significantly of all the Chinese do not like Star Wars(and they love The Avengers) and all the advertising dollars in the world won't change that. @LaNooch1978 Oh I get where you're coming from. My Dad and Sister are major Star Wars fans, and they've been pretty upset with the franchise. I doubt any of the kids in my family know who Rey is, but they could probably name Black Widow. I just remember the hype surrounding Star Wars Battlefront II before release, go look at the views and like/dislike on the official trailers before the microtransaction fiasco. You can do the same for The Last Jedi before release as well. It's like we said before, it has been the quality turning people away, the desire for something good is definitely there. You can turn around a tarnished image. People are 1 dimensional, do what we like, we cheer; don't, and we boo. But I will grant you, we're in weird times where some people are impossible to please no matter what. @Rob_230 I feel the same way. But it's the Ninja Theory Acquisition that had me thinking it might be possible. And Sony is pretty liberal with creativity so if they did become first party it would be a good situation. Still, being independent is best as long as they can afford it. @rockertherockgod "I want Sunset Overdrive 2 on PlayStation. The first in my opinion was Xbox's best exclusive and didn't sell well but if it has been on playstation it would have sold like hot cakes". Not necessarily. Tearaway was incredible yet flopped big time on ps4. @JJ2 '...However this game got a lot of 'exclusive is bad' talk going on and people crying bc it's not multiplat....'. It's just funny how these people never complain about PC-exclusives, as they conveniently drop their anti-exclusivity principles. It's perfectly acceptable, encouraged even, for the PC to have exclusives but not for other systems. I would love for them to do a daredevil game next. Insomniac in top form thank you for this amazing game i love swinging through the city! True. Gravity Rush deserved better. If this game had to be exclusive, I'm glad Sony and Insomniac got it. My first thought for a Spider-Man game had always been Sucker Punch, but after that E3 2016 trailer announcing Insomniac was behind the game, I thought to myself that it was actually the perfect match. Insomniac, after Sunset Overdrive, was well versed in open world and it has always done traversal well in its games so there was no reason to think the web swinging wouldn't be up to par. The one thing Insomniac does better than almost anyone else, and what made them the best choice for Spider-Man, is humor and it's spot on in this. Add Sony into the mix, which has always had a great partnership with Insomniac, and it's not wonder we got such a great game. I was worried at the start of the gen that there was something off between these two companies but the (somewhat surprising) success of the Ratchet & Clank remake seemed to have smoothed that over and gaming is better off for it. This really was a brilliant collaboration and Marvel did a great job making sure everything was treated with respect as well. A sequel seems almost a certainty and that will be something to look forward to for next-gen.
Great, now let Sony buy you. Wow! What an amazing revelation! Next you're gonna tell me water is wet! I thought this game was garbage due to terrible graphics or am I a few days behind the internet and now it’s a masterpiece? This game is perfect, please let this be the beginning of a Marvel gaming universe! @Turismo4GT are you sure? Lol yes he’s a bloody spider-man! This has been the best read of any pushsquare thread ever really good views from everyone. I hope Insomniac dont jump ship from sony as R&C is utterly amazing and the superlatives I have heard about Spiderman suggests its better that GOW any views here guys ?